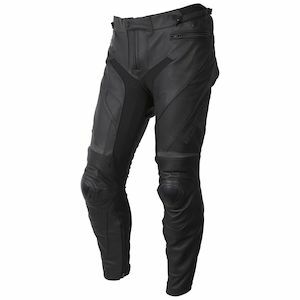 Motorcycle race track pants need to perform well in a few specific areas, which is what separates racing pants from regular everyday motorcycle pants. 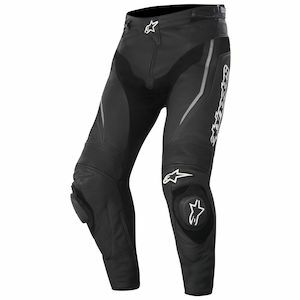 In order to be functional on the track, the track pants should be a minimum of 1.2 millimeter cowhide leather for abrasion resistance when sliding. 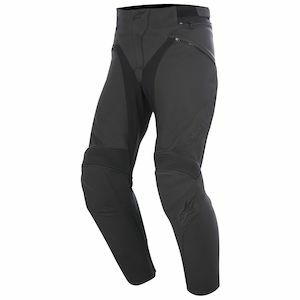 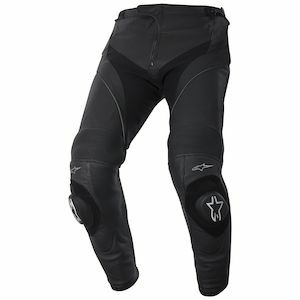 Motorcycle racing pants should offer a 360-degree zip to connect to a jacket, and the pre-shaping of the pants should be aggressive to hold the rider's body in a tucked position when racing. 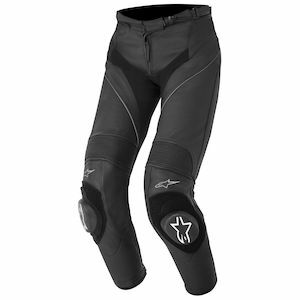 This same pre-shape helps in the safety of the track pants by limiting the range of motion, which in turn keeps the legs in a safer position in the event of a crash. 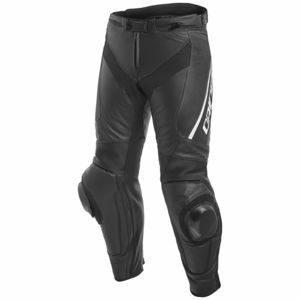 All knee armor in motorcycle racing pants is CE-rated and ranges from being built-in underneath the exterior of the garment to being an external replaceable "puck" knee-slider. 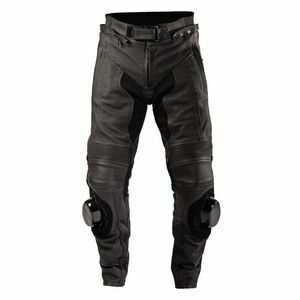 Choosing the right pair of motorcycle race track pants is an important decision, so please do not hesitate to give us a call with any questions you may have.